Get instant confirmation after booking your discounted Taipei 101 tickets on Klook! Bring home a cute Taipei 101 postcard as a souvenir! 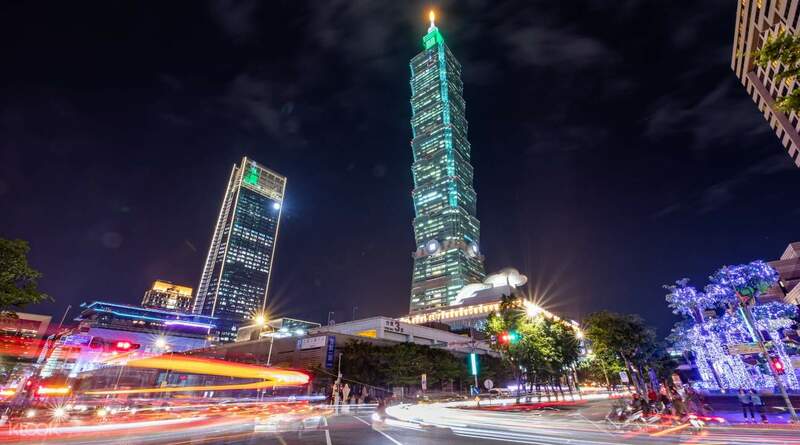 Enjoy a hassle-free visit to Taipei 101 Observatory, formerly the world's tallest structure and a must-visit for anyone visiting Taiwan, with these discounted priority pass tickets that let you skip the long line going inside! Simply book the tickets on the Klook website/app and present your passport to the staff on the fifth floor's priority pass counter, and you're good to go. Zoom up to the 89th floor of the observatory in only 37 seconds using the world's fastest elevator and get a stunning birds'-eye view of the city. 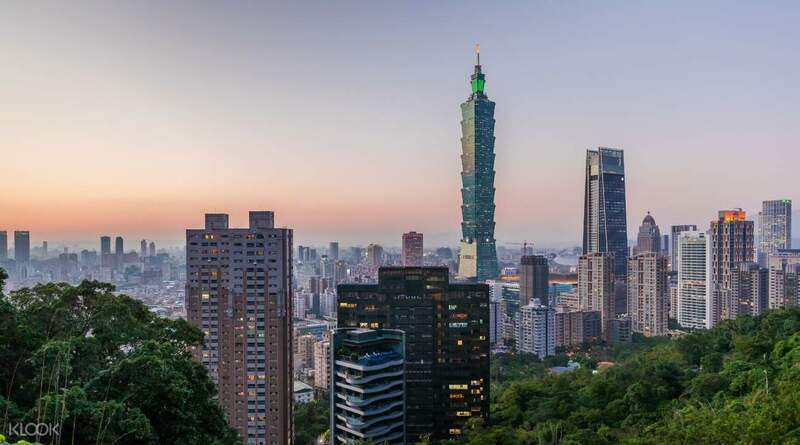 Witness picturesque 360-degree views of Taipei and see all the way down to the Taiwan straits, as well as great views of the mountainous spine of the beautiful island! You'll also bring home a cute and memorable postcard, showing the massive tower set against the city's beautiful skyline. Marvel at the beauty of Taipei's skyline, which lights up and illuminates the dark sky every night! This priority pass was an awesome choice. I was able to go up to the 5th floor and bypass the regular line up. The lady at the service counter was so nice and even walked me to where I had to somewhat line up. Then the next lady let me in at the beginning of the line to take the elevator upstairs. Once upstairs you can view the surroundings (45 sec elevator to 89th floor). Then you walk up to 91st to see outside view and then walk down to 88th floor to have another view (as they try to sell you stuff), then finally you can take the elevator down. You show them your priority pass again and you can bypass the line up to take the elevator back down. You may be wondering if it's really worth the extra cost and let me tell you it is as those line ups are long. Unless you intend on waiting and wasting your time you could be siteseeing elsewhere, by all means by regular admission. If you're not about the wait, then this is for you. Enjoy! This priority pass was an awesome choice. I was able to go up to the 5th floor and bypass the regular line up. The lady at the service counter was so nice and even walked me to where I had to somewhat line up. Then the next lady let me in at the beginning of the line to take the elevator upstairs. Once upstairs you can view the surroundings (45 sec elevator to 89th floor). Then you walk up to 91st to see outside view and then walk down to 88th floor to have another view (as they try to sell you stuff), then finally you can take the elevator down. You show them your priority pass again and you can bypass the line up to take the elevator back down. You may be wondering if it's really worth the extra cost and let me tell you it is as those line ups are long. Unless you intend on waiting and wasting your time you could be siteseeing elsewhere, by all means by regular admission. If you're not about the wait, then this is for you. Enjoy! This the highlights of my travel.. and i got a Priority Pass which means I don’t need to que in line.. i just directly went straight to elevator up to 88th floor, and went to 91st floor for outdoor observatory.. This the highlights of my travel.. and i got a Priority Pass which means I don’t need to que in line.. i just directly went straight to elevator up to 88th floor, and went to 91st floor for outdoor observatory.. I booked a priority pass through Klook. It was a decent price and easy. I was able to skip the queue and go right up 101. Unfortunately I couldn’t see the view due to the weather but I enjoyed it nonetheless. I booked a priority pass through Klook. It was a decent price and easy. I was able to skip the queue and go right up 101. Unfortunately I couldn’t see the view due to the weather but I enjoyed it nonetheless. Priority pass is very convenient, no lines, easy to pick up @ the 5th floor. But sad to say 20% visibility when we get there last April 1,2019, because of the weather condition. But my family enjoyed the on and off of the fogs. Priority pass is very convenient, no lines, easy to pick up @ the 5th floor. But sad to say 20% visibility when we get there last April 1,2019, because of the weather condition. But my family enjoyed the on and off of the fogs. Initially, I wasn't so sure whether I've made the right call by buying the priority pass (double the price!). However, see how MASSIVE the queue was the day I visited (Thursday, 21/3, 1pm), I was extremely glad and thankful that I have the priority pass!! Not only was the redemption process seamless and fast, the queue for the priority pass lane was virtually empty!! I got to skip a 50mins waiting time!! I was blessed to have such a good and clear weather when I visit and the view is marvelous. It was truly an experience to behold.. thanks Klook for this wonderful package. oh, did I mention that I got to skip a 30 mins queue to go down and I got a free postcard?? Initially, I wasn't so sure whether I've made the right call by buying the priority pass (double the price!). However, see how MASSIVE the queue was the day I visited (Thursday, 21/3, 1pm), I was extremely glad and thankful that I have the priority pass!! Not only was the redemption process seamless and fast, the queue for the priority pass lane was virtually empty!! I got to skip a 50mins waiting time!! I was blessed to have such a good and clear weather when I visit and the view is marvelous. It was truly an experience to behold.. thanks Klook for this wonderful package. oh, did I mention that I got to skip a 30 mins queue to go down and I got a free postcard?? At first I bought normal pass but after read review from others, I cancelled normal pass and bought priority pass. It’s really worth it. I can skipped long queue especially during CNY holidays where a lot of people there. At first I bought normal pass but after read review from others, I cancelled normal pass and bought priority pass. It’s really worth it. I can skipped long queue especially during CNY holidays where a lot of people there. very recommended to buy. fastest way to get up to 101. u will see awesome view.. i recommend to get up there by evening or night to witness taipei light & buildings. experience the world fasters elevator. very recommended to buy. fastest way to get up to 101. u will see awesome view.. i recommend to get up there by evening or night to witness taipei light & buildings. experience the world fasters elevator.